Voted Best Chicken For Two Decades! Bush’s Chicken® has a long tradition of being voted “The Best Chicken” in a variety of publications in cities where votes are taken. 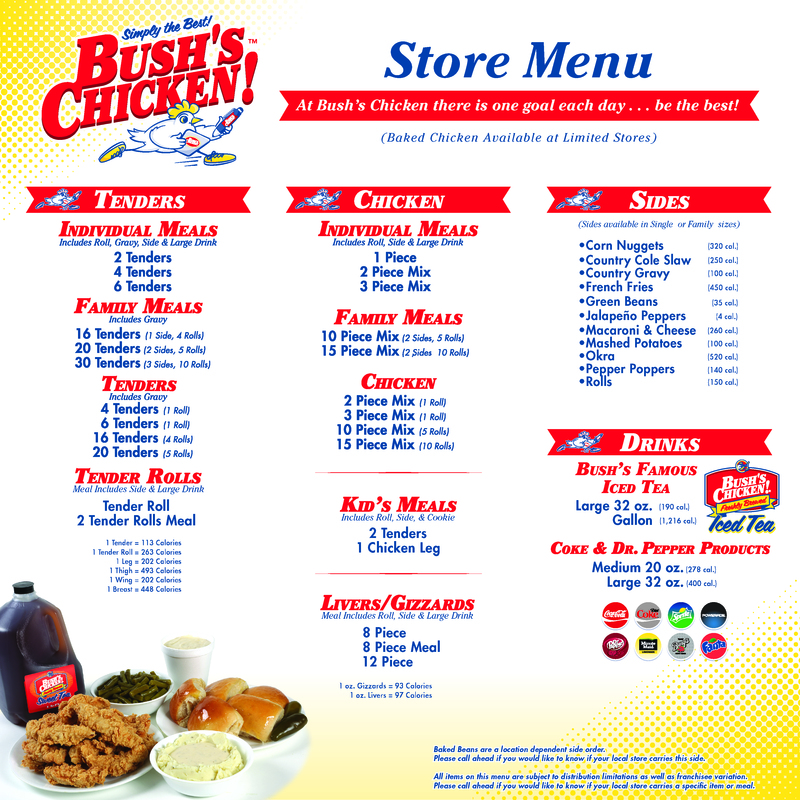 For two decades Bush’s Chicken has been a local favorite in their community locations. People love the Bush’s Chicken specials, especially the great value of Tender Tuesdays. There’s also Happy Hour each day from 2:00 – 5:00 PM where tea and soft drinks are discounted.